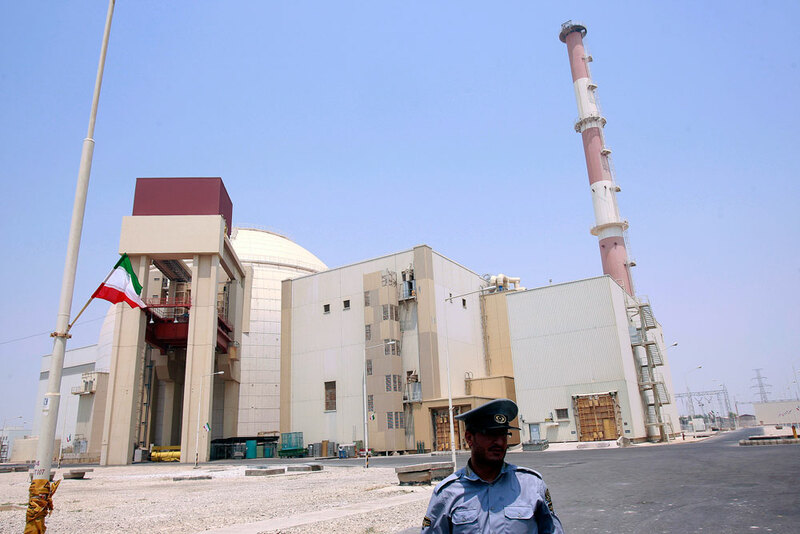 A security official stands in front of the Bushehr nuclear reactor, 1,200 km (746 miles) south of Tehran. The tussle over who will win rights to build nuclear power plants in Iran, recently freed from economic sanctions, is intensifying. Nuclear energy companies from Russia, South Korea, China and Spain are competing to collaborate with Teheran. Economic and financial sanctions on Iran were lifted in January this year by the United Nations, the United States and the European Union. This opened up one of the largest markets in West Asia, leading many major global companies from across the world to announced plans to do business with Iran, including in the country's nuclear energy sector. A spokesman for the Atomic Energy Organization of Iran (AEOI) Behrouz Kamalvandi said in January that if Western countries were able to provide the necessary investments, Iran would simultaneously build seven or eight nuclear power plants in the country. Who is fighting for the Iranian energy market? Iran and Spain had, it was disclosed in late January, prepared a preliminary agreement to build two nuclear power plants. "Based on these projects, the discussion of which is in the final stage, Iran and Spain will collaborate in the fields of power stations, in increasing their potential and in the training of personnel," the Islamic Republic News Agency (IRNA) cites Kamalvandi. In the second half of 2015 Head of AEOI Ali Akbar Salehi said that Beijing and Teheran had agreed that China would build two nuclear power plants on Iran's southern coast. "Today a whole series of countries is trying to actively enter Iran's nuclear market, in particular South Korea, which is promoting its SMART reactor (System-integrated Modular Advanced Reactor) on the world market," said Simon Dragalsky, General Director of the Russian Union of Energy Efficiency. Seoul is ready to collaborate with Teheran in building small and large nuclear reactors, in producing modern equipment for nuclear medicine and in other fields of peaceful use of nuclear technologies. However, it appears that Iran is placing its bets on cooperation with Russian nuclear companies. Salehi said on January 22 that Russia would have privileges in respect to other countries, according to IRNA. "In the past only Russia collaborated with Iran in the construction of nuclear power plants, while now many countries are open to cooperation," said Salehi. The AEOI head also underlined that Iran, "will never forget the help and support that Russia offered it in difficult times. Russia was a friend, an ally in hard times." Analysts, however, see a rational approach in this statement. "Only Russia has the most modern and authoritative "Three Plus" generation nuclear power unit," said Dragalsky. "And Iran needs advanced technologies as soon as possible. Due to the sanctions the country has lost a lot of time and can't wait anymore," concludes Dragalsky. Russia's nuclear technologies are not new to the West Asian region. In particular, the nuclear research reactors located in Iraq, Egypt, Libya, Syria and Algeria built during the Soviet period in the 1960s-1970s. Many nuclear specialists in those countries studied in Soviet scientific and research institutes. Rosatom had built a nuclear power plant in Bushehr with a capacity of 1,000 MW, which began operations in 2013. The Russians finished an abandoned project that was begun by German experts. In the end, the first Iranian nuclear power plant became the most complex nuclear engineering project in the history of nuclear power plant construction. In essence, Rosatom integrated Russian technological equipment with German-designed constructions, adding 12,000 tons of German equipment to the Russian project. The Bushehr nuclear power plant won the 2014 Project of the Year competition conducted by the oldest energy magazine in the world, Power Engineering (USA). Independent experts believe that competitors will find it difficult to fight Rosatom on the Iranian market. "Despite the enormous pressure placed by the sanctions, Russia was able to construct the most modern nuclear plant for Iran, not only fulfilling all its obligations before its partner but also not violating any of the demands established by the world community. Teheran's trust in Russia after the launch of the Bushehr nuclear power plant is unconditional," said Alexander Uvarov, an independent nuclear expert. The proof of this trust is the bilateral agreement, signed in 2014, to build eight power units, including the contract to erect two new units at the Bushehr platform. Talks are now on about details of realizing the second stage of the Bushehr plant. Since the beginning of 2016 around 50 Russian specialists have been working on the project. Russian nuclear experts are also ready to cooperate in non-energy fields such as radiation technologies, including the radiation of agricultural production and modified materials. "These technologies are already being used successfully in Asia, Europe, the US and can be relevant for Iran," notes Alexander Uvarov.